Back not long before Jimi Hendrix was taken from us he was asked to run his opinion over the next generation of Blues guitarists, to pass on the crown to the heir apparent, the player who Hendrix felt was the future. The name he settled on was a guy playing out of Houston, Texas. That guitarist was Billy Gibbons. 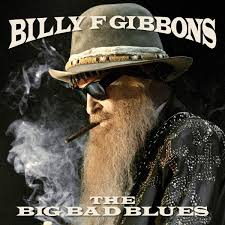 Over the years Gibbons, with his band ZZ Top, took the desert blues of his home state to new and exciting places. By the 1980’s, with the advent of MTV, Gibbons guitar playing style became one of the most recognisable music sounds on the planet. Whilst perhaps not to the liking of blues purists, with its hard rocking edge, ZZ Tops music was inspired and cornerstoned by generations of Blues players. Seemingly developed as a link between the more primitive delta blues and more sophisticated Chicago players, ZZ Top not only excited the teenage me in the mid 80’s but also inspired me to find out more about the great blues players. Robert Johnson, Elmore James, Buddy Guy, Bo Diddley and Muddy Waters were all next stops along my odyssey into Blues music, thanks to Billy Gibbon’s sound. ZZ Top, as a live act, filled stadiums and arenas the world over. With big sound, amazing lights and cool gimmicks they became one of the bankable acts in the world. 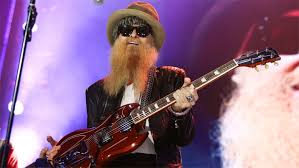 But for all their bombast the ZZ Top sound always seemed that it would be equally at home being played in a roadhouse somewhere on the outskirts of Houston. ZZ Top never forgot their tag as being that l’il ol’ band from Texas. And that’s an attitude Gibbon’s has taken into his new solo album, ‘The Big Bad Blues’. This new album features 6 tracks penned by the BFG himself, one by his wife Gilly Stillwater with the remainder being tracks by Muddy Waters (credited to his real name McKinley Morganfield), Bo Diddley (again credited to his real name Elias McDaniel) and long time Diddley collaborator Jerome Green. Paying homage to those players who’ve obviously had a huge influence on the formative years of Gibbons, Billy’s playing is of the highest standard. As you’d expect, with excellent production from Gibbons and Joe Hardy, the balance between slick playing whilst retaining the grungy soulful style that signifies his sound is retained expertly.